Police say just before 7 AM, officers received a report that a man was passed out in a running Dodge pickup truck in a parking lot near 93rd Ave and 93rd Street. When officers attended the scene, they located an open bottle of liquor and possible cocaine. Officers attempted to wake the driver who then appeared to put the vehicle in drive. The driver was assisted out of the vehicle and arrested. 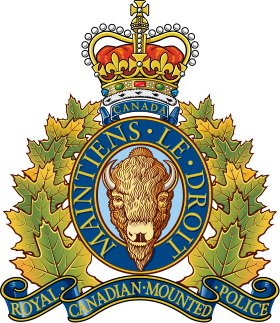 The man was identified as a resident of Taylor, BC, who is prohibited from driving and is the registered owner of vehicles that have fled from officers in the recent weeks. The man was arrested for Impaired Care and Control of a Motor Vehicle along with other firearm and CDSA (Controlled Drug and Substances Act) offences. Incidental to arrest, officers located a loaded hand gun, a rifle, a knitted mask, multiple collapsible batons, several knives, as well as suspected cocaine, fentanyl, cannabis, mushrooms and an undisclosed amount of cash. The truck has also been impounded. The man has since been released on conditions and a date to appear in court.